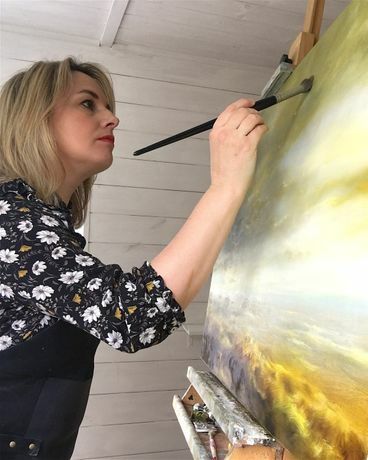 Contemporary landscape artist Clare Haley in her studio. A spellbinding exhibition of paintings by Yorkshire landscape artist Clare Haley, inspired by the raw, dramatic beauty of landscape and light. The exhibition is an opportunity for discerning art collectors and first-time buyers alike to view an exclusive collection of artwork from one of the most exciting emerging artists of the north. 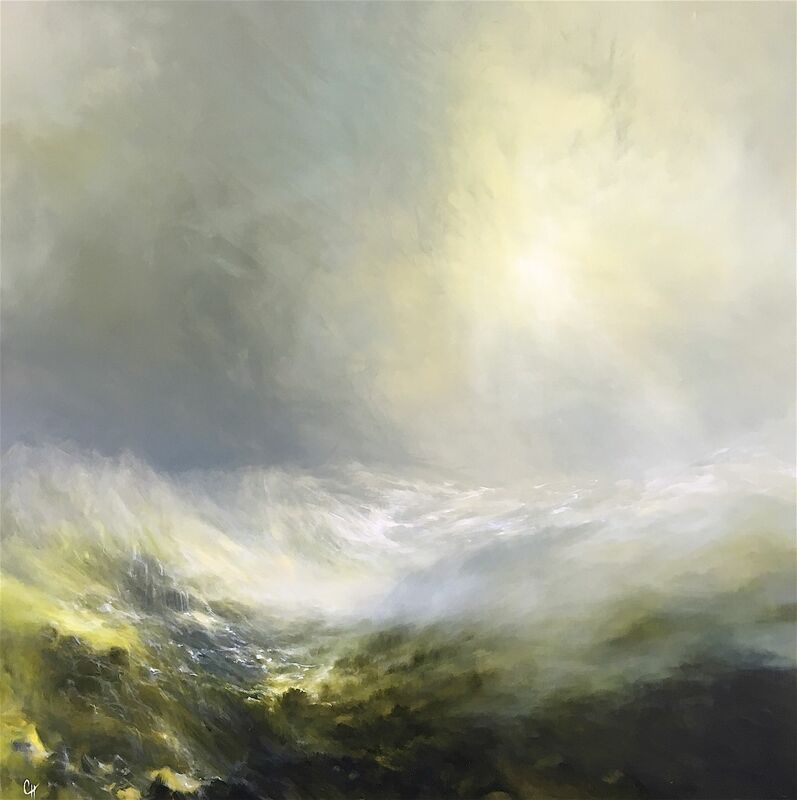 A timeless bridge between the traditional heritage of the arts and the innovation of contemporary vision, Clare’s work offers a universal appeal to even the most diverse range of collectors. Clare describes her work as “contemporary northern landscapes which mostly appear timeless, of any era—earthy, wild places to become lost in.” She develops the atmospheric content of her paintings through location photography, research of weather and cloud consequences, imagined places and her experience living in an area of raw beauty. With nods to the drama of John Martin’s apocalyptic paintings and to the colours and heritage of Sidney Richard Percy’s landscapes, Clare’s own unique style resurrects the tradition of British landscape painting and brings it into the 21st century with graceful transcendence. Due to expected high volume of interest, an early viewing is recommended. For press enquires or high-resolution images, please telephone Deanna Dawkins on 01904 634221.